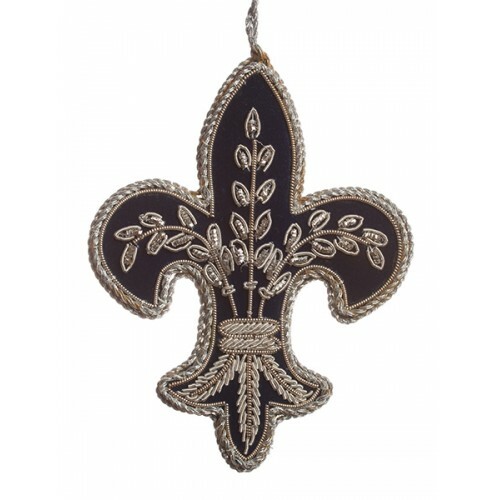 This particular Fleur de Lis design has been used on a myriad of European coats of arms over the centuries. 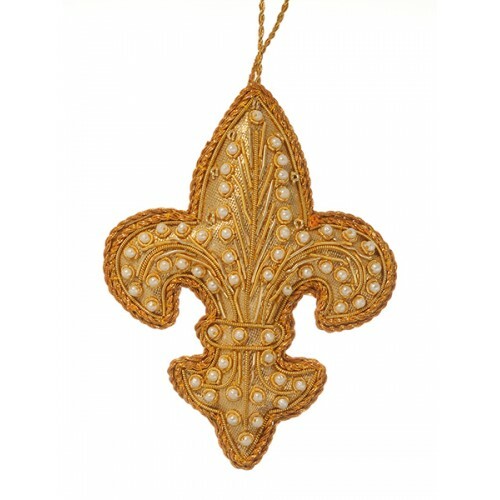 Handmade in India using the traditional technique of zardozi embroidery, it appears here in traditional red and gold. 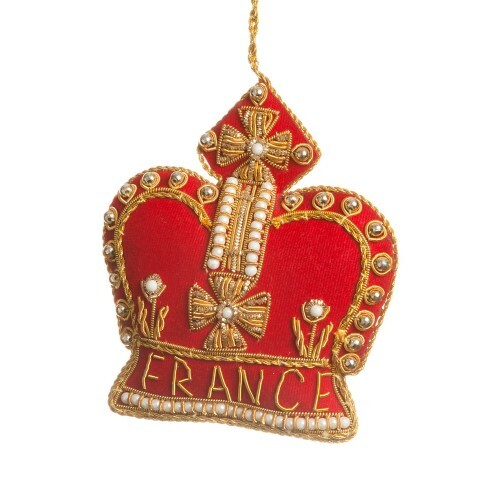 A brave reformer of the French justice system and a devout Christian, King Louis IX of France is als..
Encrusted with pearls and gold metal threads this Fleur de Lis is a potent symbol. 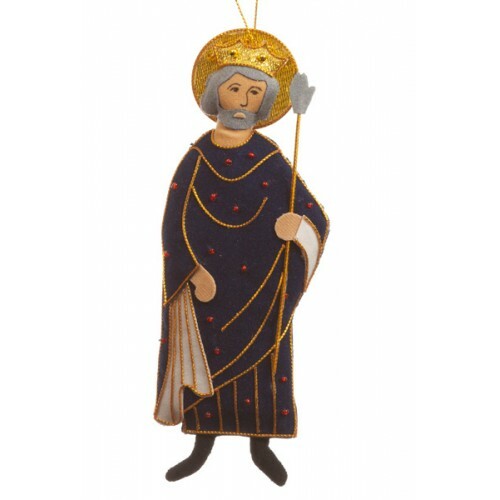 Heraldic embroid.. 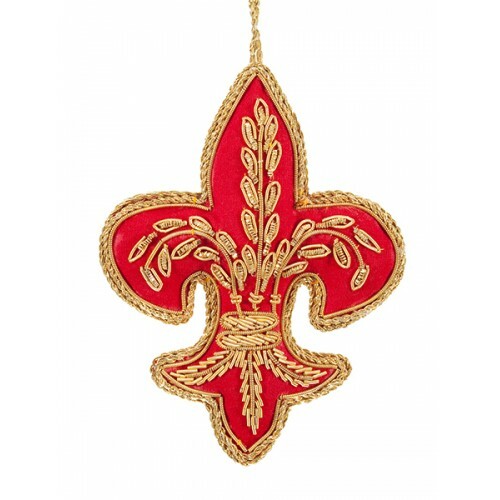 This particular Fleur de Lis design has been used on a myriad of European coats of arms over the cen.. 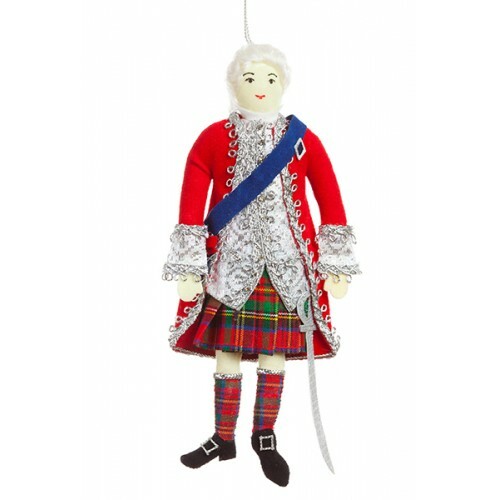 These embellished Crown Christmas decorations are based on St. Edward's Crown, a golden headpiece ma..
Charles Edward Stuart (1720 - 1788) was a pretender to the thrones of England, Scotland, France and .. 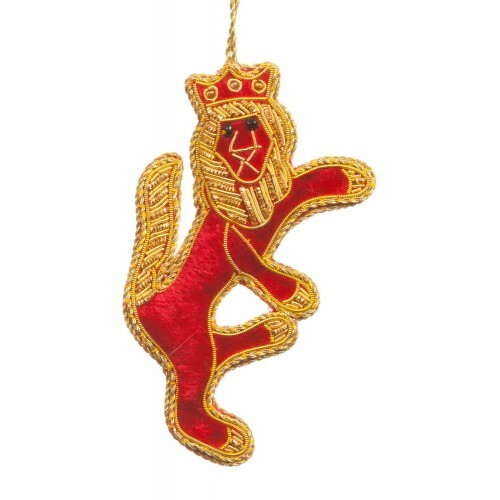 Complete your collection of heraldic ornaments with our fierce lion, inspired by the full coats of a..